Here’s yet another chance for you to experience first-hand the creativity of some of the individuals served by Imagine!. On Saturday, September 20, at 1:00 pm, participants in Imagine!’s CORE/Labor Source (CLS) programs will be performing at the Boulder International Fringe Festival. The performance will be at the Dairy Center for the Arts on the "Fringe Central Stage." The Dairy Center for the Arts is located at 2590 Walnut Street in Boulder. The performance is titled The Jungle, and is a selection of music, dance, and theater pieces around a jungle and tropical theme. At CLS and Imagine!, we believe that everyone possesses an innate desire and ability to grow through learning and the arts. As we grow, we enrich our lives and our communities. 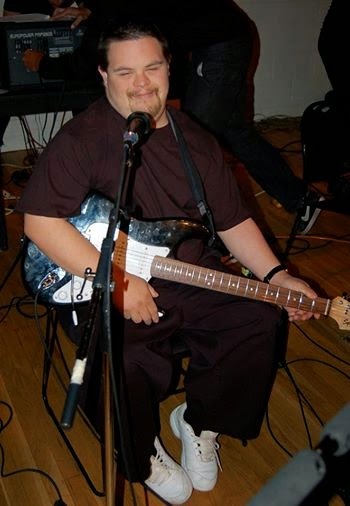 Pictured below is Kyle playing the guitar at a previous CLS performance at the Boulder International Fringe Festival. I hope to see you at this year's performance! Today’s Labor Source 30 for 30 partner highlight: The Villas at the Atrium. The Villas at the Atrium, is a senior living community that offers Independent Living services. It is Located in Boulder, Colorado near its sister community, Wynwood at Ridge Point, an assisted living facility for seniors. These Brookdale communities offer senior living solutions for seniors looking to eliminate the daily demands of home ownership and those who may need some day-to-day assistance with personal needs. The Villas at the Atrium is CORE/Labor Source’s newest partner, working with us since June. 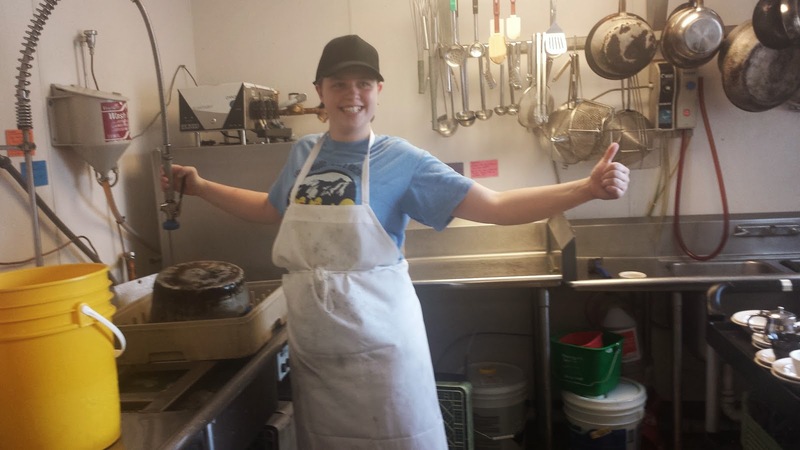 Two individuals served by CORE/Labor Source are currently employed there, including Meredith, pictured below. Jeffrey, the kitchen manager at The Villas at the Atrium, says that Meredith is such a joy to have around. He is beyond pleased that he can always count on her and loves that she makes other employees smile all the time. Thank you, Villas at the Atrium, for your commitment to your community and to providing employment opportunities for individuals with intellectual and developmental disabilities. Last week, I was interviewed by Denver’s 9 News about the sad story of Aaron Tuneberg and the waitlist for services for many individuals with intellectual and developmental disabilities living in Colorado. While my interview ended up on the cutting room floor (much to my relief, and I’m sure to the relief of the general viewing public), the story, which aired on Sunday evening, packed a powerful punch. You can read an in-depth article and see the video by clicking here. I have written before about Aaron and the casual indifference many of us in the field had adopted toward the waitlist over time. And I promised that I would no longer adopt such an insouciant attitude toward the issue in the future. So I feel I need to respond to the implication in the story that the waitlist was strictly a result of the economic troubles that have so impacted our country over the past few years, and that new resources slotted for the population we serve will meet the future need. Yes, the waitlist was exacerbated by the economic downturn. But the growing waitlist was well underway before 2008. And the new resources discussed in the video piece may not completely close the gap to ensure that others like Aaron will get off of the waitlist and receive the services they so desperately need. In fact, at current rates, the resources don’t actually cover the cost of services. 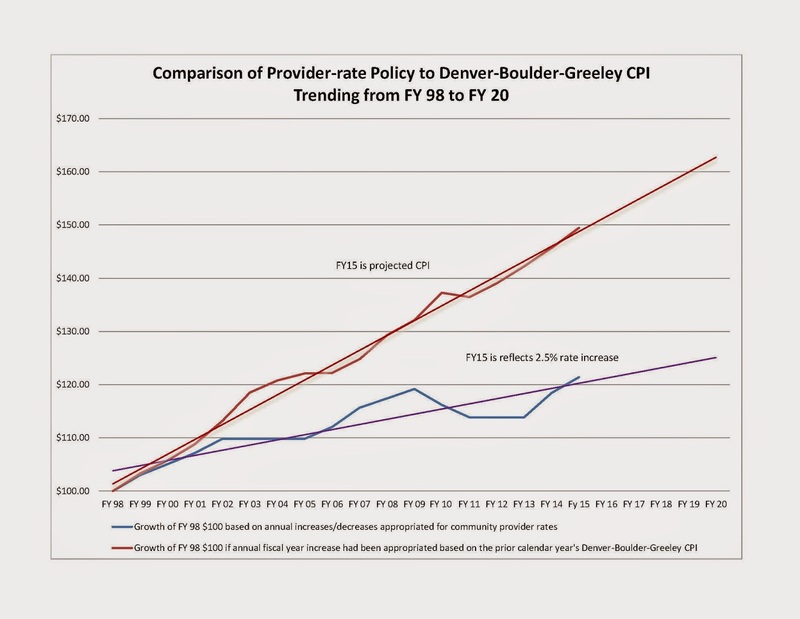 Check out the graph below, which compares rates paid to providers with the Consumer Price Index in Denver, Boulder, and Greeley from FY 1997-98 through 2014-15 (along with projections up to 2020). I think you will notice a disturbing trend. (You can click on the graph to get a bigger view). This graphic is based on a memorandum from staff members of Colorado’s Joint Budget Committee (JBC), to the JBC, dated January 24, 2012. Those aren’t just lines and numbers. That growing separation between what providers are paid and what it actually costs to do business shown above is not a secret and has very real consequences for individuals receiving (or not receiving) support services in our state. Aaron’s story demonstrates those consequences all too clearly. So I celebrate the new resources introduced by the state last year to provide services to many more vulnerable Colorado citizens. I applaud the effort to end the waitlist. 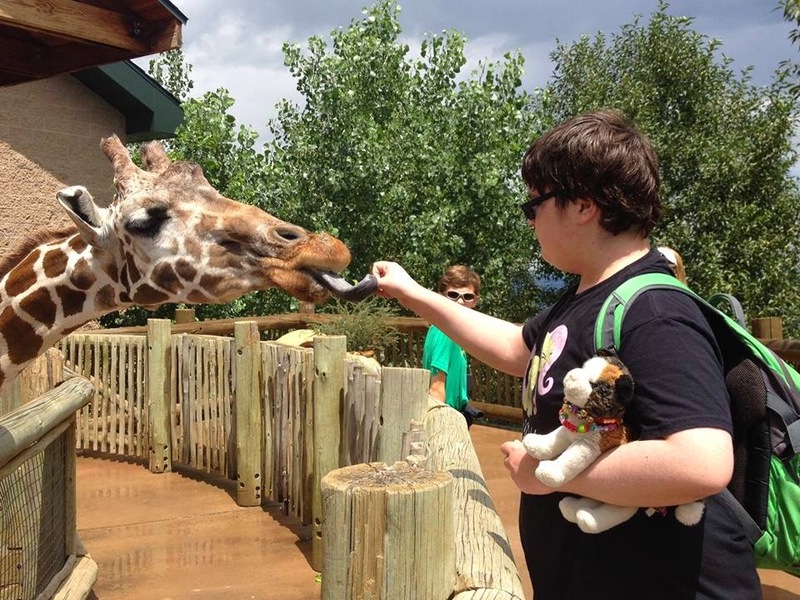 But even though I celebrate and applaud, I will continue to push and prod to ensure that the efforts to make sure that every Colorado citizen with an intellectual or developmental disability has access the kind of services and supports he or she needs to become self-reliant, active participants in their communities. I won’t accept half measures or self-congratulatory acts. I don’t want to have to ever hear any more stories like Aaron’s. I don’t think you want to hear them, either. 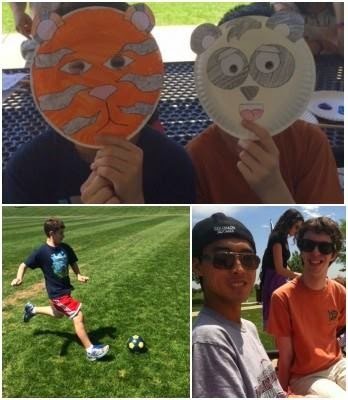 Imagine!’s Out & About Summer Camp 2014 wrapped up last week, and by all accounts it was a huge success. 58 kids participated in the Summer Camp this year, and 13 of those were brand new to the program. 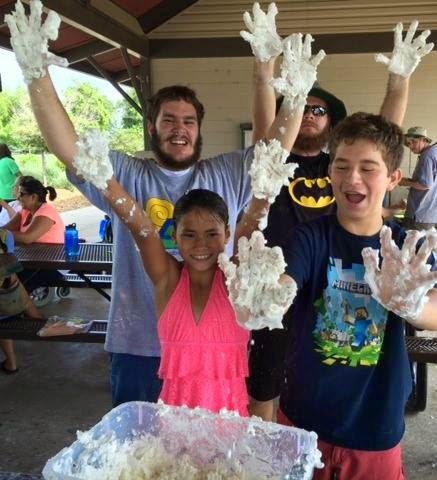 Participants had many fun adventures including: feeding giraffes, horseback riding, crawdad fishing, riding roller coasters at Elitch’s, taking the Voyage to the Center of Earth at Water World, and getting messy with shaving cream. 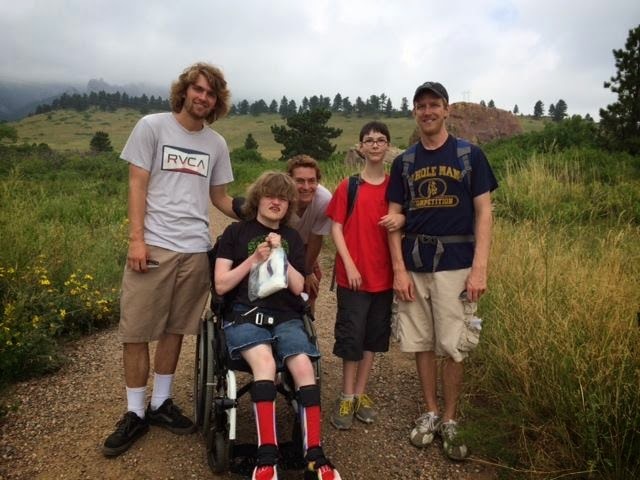 The Out & About team could not be happier with the all the activities, success, and feedback they have received from yet another stellar Summer Camp with Out & About. Out & About staff members have already started brainstorming new activities and adventures for Summer Camp 2015. In the meantime, enjoy the pictures below demonstrating how much fun everyone had this past summer. 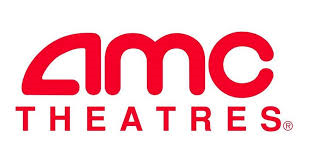 Thank you, AMC Theaters, for your commitment to providing employment opportunities for individuals with developmental and intellectual disabilities. A couple of Fridays ago, Imagine! was the featured non-profit at the Millennium Harvest House Boulder’s “Notorious FAC.” Imagine! had an information booth and a booth for kids (and the young at heart) for drawing, painting, and creating sculptures with ready bake clay. Several individuals served by Imagine! attended this enjoyable community building event. Check out some photos below. Ed, Terri, and David arrived early and helped set up the information booth. Gary and Gerald shared many laughs together. Rebecca poses in front of her own picture at the information booth. John found a dance partner. Mason, Rebecca, Gerald, and Bridget dance to the music. Today’s Labor Source 30 for 30 partner highlight: Sunbeam Farm. 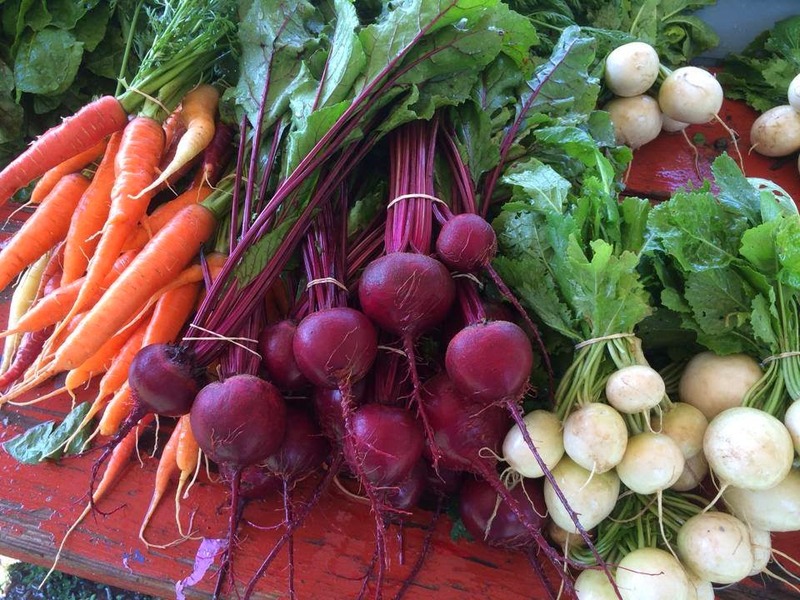 Sunbeam Farm produces organically-grown vegetables and herbs for a small Community Supported Agriculture Program (CSA) and on-site Farm Stand, raises chickens for organic eggs, and provides educational opportunities for people of all ages. Thank you, Sunbeam Farm, for your demonstrated commitment to providing employment opportunities for individuals with intellectual and developmental disabilities. People may ask, "Are you ever satisfied?" ... a good question. And I thought, no. Rather, stay irritated. Continue to ask, “Is that the best we can do?” Even film director Ron Howard, feels he is better if he maintains a “Steady baseline of discomfort”. Tell me that having a diaper rash wasn’t a motivator for how we manage our lives today. My colleague Greg Wellems is often referring to pain points within our business and service operations. These are the areas to direct our attention for innovation. Innovative organizations often refer to it as creative tension. Keeping on our collective toes means remaining attentive and prepared to pivot our approach. Why is this on my mind today? We must stop handing our permission to procrastinate. We have no room for complacency in our efforts. Ever! Recently, Imagine! Foundation grant writer Christina Craigo prepared a report on the progress of Imagine!’s SmartHomes for one of the funders of the project, The Collins Foundation. The report is a great overview of how far the SmartHomes have come, as well as what’s coming next. I thought it would be worth sharing with my blog readers. Brief overview of the progress of the project. The first goal of Imagine!’s SmartHomes Project (which includes both the Bob and Judy Charles SmartHome and a second home – the Charles Family SmartHome in Longmont) is to strengthen Imagine!’s capacity to meet the need for comprehensive care for local individuals with I/DD. Objectives related to this goal include: a) to increase the amount of appropriate and maintainable local housing for people with I/DD; and b) to identify fourteen individuals with I/DD who would benefit from living in a home equipped with adaptive and assistive technologies and move them to the SmartHomes. These objectives were met. Construction of the Bob and Judy Charles SmartHome was completed in June 2009. Assistive technology systems were installed soon after, and in July, the SmartHome’s eight residents moved in and began to get accustomed to their new home. Since that time, Imagine! staff members have been refining the technologies to better meet the needs of the individual residents, training the residents to use the systems, and using the SmartHome as a site for testing, modifying, and adapting technologies and technology strategies for use in other environments. The residents of the SmartHome continue to flourish, as described below. As mentioned previously, the Bob and Judy Charles SmartHome sustained significant damage during the flood last September. 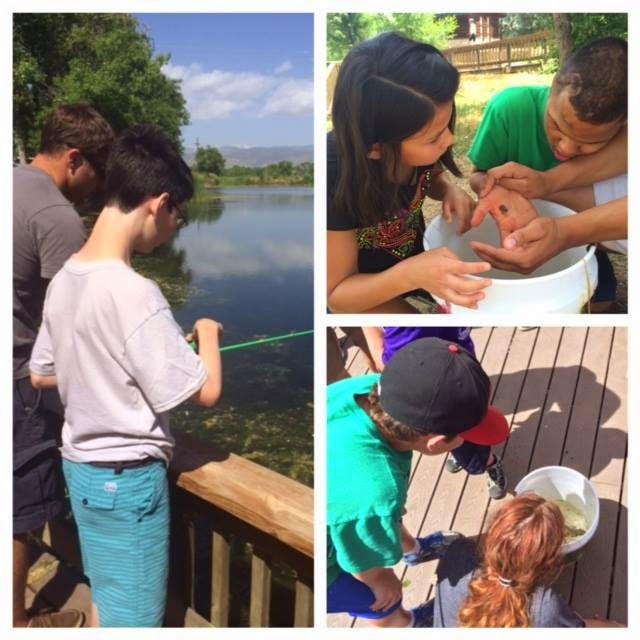 We are pleased to report that the cost of repairs was covered with funding from a variety of sources including the ANCOR Foundation, Boulder County Worthy Cause, the Foothills Flood Relief Fund, and individuals. In other general news, Ingrid Winter, who has been bringing her therapy dog Raven to the Bob and Judy Charles SmartHome every week for the past two years, was selected as a 7Everyday Hero by Denver’s 7 News. Please visit http://www.thedenverchannel.com/news/7everyday-hero/volunteer-takes-therapy-dog-to-people-in-group-homes-across-boulder-county to see Ingrid and Raven interact with SmartHome residents. How many individuals and/or families have benefited from this investment? What have been the most significant results? Eight vulnerable individuals and their families have benefited directly from this investment, and many others have benefited indirectly. The second goal of the SmartHomes Project is to create, test, and share innovative technologies and technology strategies to address the nationwide crisis in available services for people with I/DD and similar populations. The first objective relating to this goal is to maximize SmartHome residents’ self-sufficiency and ability to engage with the community. Imagine! continues to make progress toward this objective. Residents use their accessible Email system (Endeavor) and an accessible Facebook application developed recently by AbleLink to stay connected with family and friends. They have enjoyed learning to cook with the help of AbleLink’s task prompting system. Imagine! staff members are working directly to adapt applications and tools to further residents’ self-sufficiency, including an interactive tool for adding and subtracting prices of ingredients for meals, a literacy game, a computer-based medication task minder, and a game for multiple players called “Pirate’s Cove.” This game teaches players (some of whom use AAC devices) to practice skills including taking turns, recognizing letters, and composing words. One resident at the Bob and Judy Charles SmartHome is now using an application called Interactive Ledger to gain more independence in money management. Staff members are also working with an engineer from Plexus to help create a prototype of a mobile sensor system that could set up a perimeter, or an “invisible wall,” that could send notifications to caregivers when the perimeter is breached. This could be especially useful for individuals who are prone to elopement or for individuals who aren’t able to use certain appliances (such as stoves or ovens) safely. The second objective relating to this goal was to optimize the efficiency and effectiveness of caregivers in the home. Again, Imagine! is continuing to make progress toward this goal. For example, Imagine! has begun providing training to Direct Service Professionals (DSPs) on how to encourage individuals receiving services to handle an increasing array of tasks on their own. Examples of lessons include “How to Reinforce Skill Development,” “Ways to Facilitate Task Independence,” and “Ways to Determine Needed Support Levels.” Video tutorials on teaching clients to care for themselves to the extent possible are being developed and will be accessible to DSPs via Imagine!’s online training system in 2015. The third objective relating to this goal was to show through the SmartHomes how technology can increase energy efficiency and lower costs and carbon footprint. As reported previously, this objective has been achieved. The SmartHome’s solar PV system has been in operation for nearly 20,000 hours and has reduced the home’s CO2 emissions by an incredible 28 tons to date! Its geothermal system continues to reduce natural gas costs significantly. The fourth objective relating to this goal was to move successful technologies and technology strategies into Imagine! residential care facilities, day programs, and family homes. Imagine! continues to make progress toward this objective. Examples of recent activities in this area include the completion of a new Assistive Technology Laboratory at CORE/Labor Source’s location in Longmont (equipped for clients who are non-verbal and have very limited mobility), the installation of an interactive multi-user computer station in Imagine!’s Manhattan Group Home to facilitate educational activities and communication with friends and family, and the provision of iPads to individuals in day programs and residential settings. Please visit https://www.youtube.com/watch?v=u8OiK0cEWNo&feature=youtu.be to see the impact of technology on a client who moved to Imagine!’s 19th Street Group Home after nearly 50 years at the Wheat Ridge Regional Center. Alliance 2014 Summit – speaker (“Technology COPs – An arresting presentation on how three organizations from around the country are working together to improve services and supports”). In August, Imagine!’s Greg Wellems will serve as a panelist for a session entitled “Integrated Data Systems to Improve Quality” at Reinventing Quality, a biennial conference showcasing best practices in supports and services for people with disabilities. The conference is jointly hosted by the National Association of State Directors of Developmental Disabilities Services, the Research and Training Center on Community Living at the University of Minnesota, the Human Services Research Institute, the University of Delaware National Leadership Consortium, the American Network of Community Options and Resources, and the American Association on Intellectual and Developmental Disabilities. In related news, last April, SmartHomes Project Team members provided guidance to The Community Life Project, a local parent-organized group interested in developing a nonprofit housing cooperative for adults with autism, including those who aren't eligible for developmental disability services or who are on a waiting list, and those who receive services but need more support. Last November, Greg Wellems was quoted in an article in the Hartford Business Journal about changes in the healthcare industry and how technology can be used to help aging adults continue to live a high-quality, meaningful life in environments of their own choosing. Over the years, Imagine! has given more than 170 tours of its SmartHomes and hosted more than 1,200 individuals from around the country as well as several international guests. Recent visitors (to the Charles Family SmartHome and/or the Bob and Judy Charles SmartHome in Boulder) included the Director of the Colorado Department of Human Services; the Director of Colorado’s Office of Community Access and Independence; representatives from the Colorado Department of Healthcare Policy and Financing and the Colorado Department of Developmental Disabilities; three State Senators and three State Representatives; the President of Thrive Communities; the Executive Director of TLC Learning Center (formerly the Tiny Tim Center); the Executive Director of Cheyenne Village; the President of the Human Technologies Corporation, the Mental Health Program Manager from North Carolina’s Department of Health and Human Services, five students from Longmont High School; a group of nonprofit professionals from Cameroon, Hungary, Kenya, Oman, and Saudi Arabia; and representatives from East Carolina Behavioral Health, Extreme Sports Camp (which serves individuals with Autism Spectrum disorders), and I-Reach 2, Inc. Recently, Imagine! launched a similar collaboration with students at the Baskin School of Engineering at the University of California Santa Cruz. Students are helping to create apps for Imagine! clients as part of their classwork. The applications must store data on individual users, building a baseline of knowledge and tracking progress with a range of skills such as color and shape identification and basic financial literacy. Last fall, Imagine! also partnered with University of Wyoming students, who created devices including modular, adjustable tables for wheelchair users and a robot arm and wrist support for people who use wheelchairs as well as AAC devices. Today’s Labor Source 30 for 30 partner highlight: Naropa Community Art Studio. One week after 9/11, the Naropa Community Art Studio (NCAS), which is housed in the Naropa Art Therapy program, was created by Michael A. Franklin PhD, ATR-BC. The overall goal of this long term, curriculum-driven project, is to cultivate the socially engaged art therapist. During a studio practicum in the first year, students learn how to design, create and finance a community-based studio. The guiding vision behind the NCAS project is to provide a space for diverse groups to gather and create art together. Equal access for our studio members is stressed, particularly people who are marginalized and unlikely to have access to the humanizing practice of engaging in artistic behavior in community. Respect for cultural, ethnic, gender, and spiritual diversity is a founding principal of the NCAS. Unity in diversity, the birthright to pursue creative expression, and the capacity of visual art to contain and communicate the full range of human experiences comprise the essence of the NCAS mission and focus. Thank you, Naropa Community Art Studio, for your commitment to providing employment opportunities for individuals with intellectual and developmental disabilities. Yesterday, I had the opportunity to hang out at the finish line of an Ironman Triathlon that took place in Boulder. Though I don’t often say this, I found myself moved by the experience. And I’m pretty sure I wasn’t the only one. There was an unmistakable aura of euphoria and triumph around the finish line for all of the participants who were able to complete the entire competition. Why? Well, if you know anything about triathlons, especially the Ironman category, you know it is a grueling experience. Participants start with a 2.4 mile swim, then head off on a 112 mile bike ride, and finish with a 26.2 mile run. Certainly not an experience for the faint of heart. Some of the participants are professionals, who make a living competing in this type of extreme challenge. They are certainly to be admired. But the pros weren’t the ones who really impressed me. The vast majority of competitors (there were more than 2,500 participants from 33 different countries) were not professional athletes. You could see this in the widely varying body types of the participants. They are the ones that filled me with awe. Why were so many of us spectators so impressed? Well, because only a very few of us are in the position to make the commitment so we can honestly say “I Am Iron Man” (or Woman). For those few who can claim to being made of iron, getting to the point of participating, and finishing, the triathlon took a tremendous amount of commitment. You can’t just decide to run a race like this the day before and expect to do well. Hours and hours and hours of training are required – training that cuts into opportunities to engage in other activities. And the many of the non-pros had to recruit their own volunteer support crews to make sure that everything was ready for the monumental undertaking, as well as to pay for their own travel, lodging, registration, and other expenses. As someone who has never, and has no plans to ever, participate in an Ironman Triathlon, I can’t say I know exactly what motivates the participants. But I can (and do) marvel at their commitment, and look to them as an inspiration for the work we do at Imagine!. We need that kind of commitment here. That drive to give everything we have to give so that the individuals we serve may become more self reliant and more fully engaged in their communities. We could do a lot worse than to look at the Iron Men and Woman of the world as inspiration to embrace and drive opportunity to improve the lives of individuals with intellectual and developmental disabilities. If you have been following my blog this year, you are probably aware that I have been highlighting many of the businesses who have demonstrated their commitment to our community by employing individuals served by Imagine!. Next Saturday, you will have a chance to thank some of those businesses in person. Imagine!’s CORE/Labor Source (CLS) department is hosting an event honoring companies that employ people served by CLS, on Saturday, August 9, from noon until 4:00 pm. The event will take place at Twisted Pine Brewing Company, located at 3201 Walnut Street in Boulder. There will be delicious appetizers, awards, a cash bar, and networking opportunities for attendees. Even more good news – the event includes an art show, with art created by participants in CLS art classes available for viewing and/or purchase. CLS participants will also be on hand for a live painting demonstration with a variety of mediums and adaptive equipment. Twisted Pine, which employees several individuals served by CLS, will be donating a percentage of sales to the CORE/Labor Source art program – so we offer them many thanks for hosting the event and and for their generosity. This event is open to the public, and I hope to see you there! Feel free to stick around after 4:00, as there will be live music to cap off this great event.